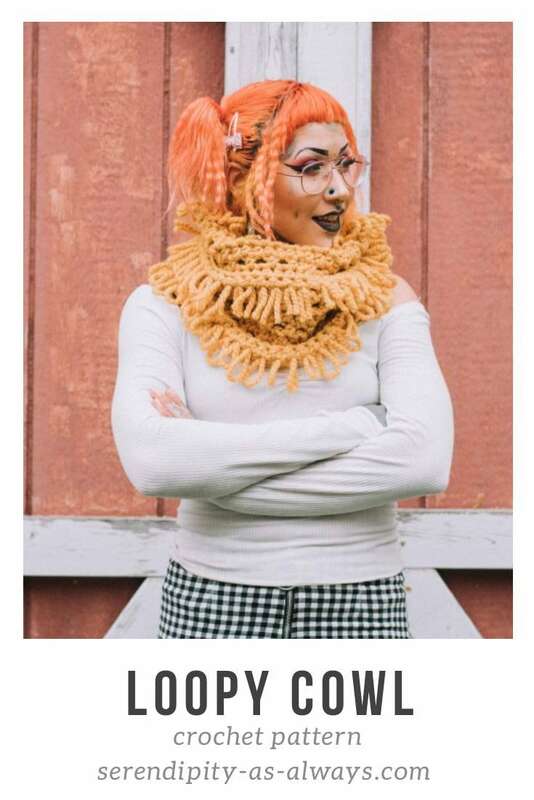 Written instructions provided as a PDF digital download to create the "Loopy Cowl" in an adult size. 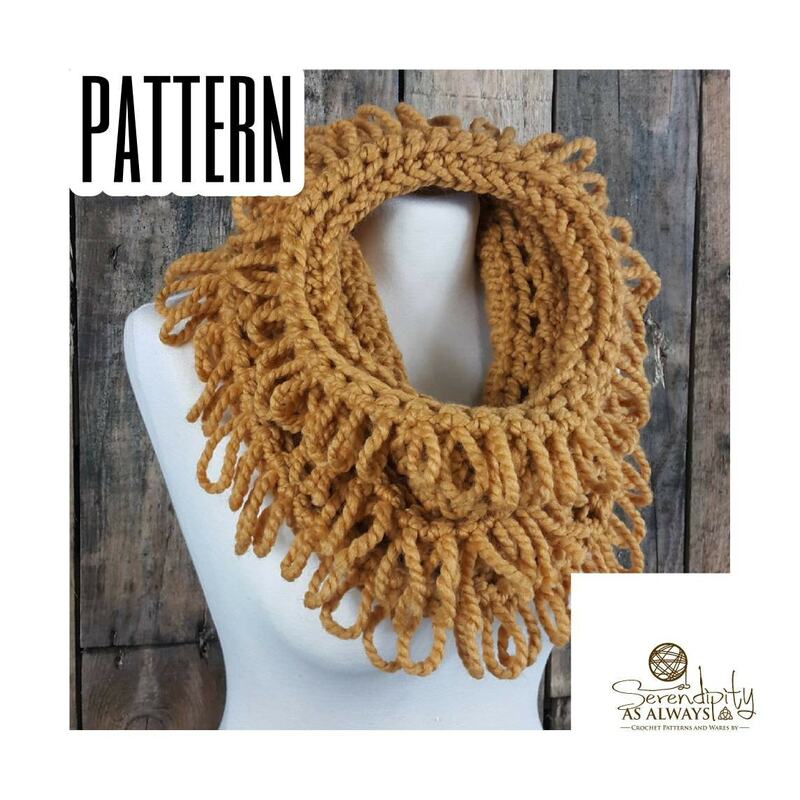 This is an Intermediate level crochet pattern. 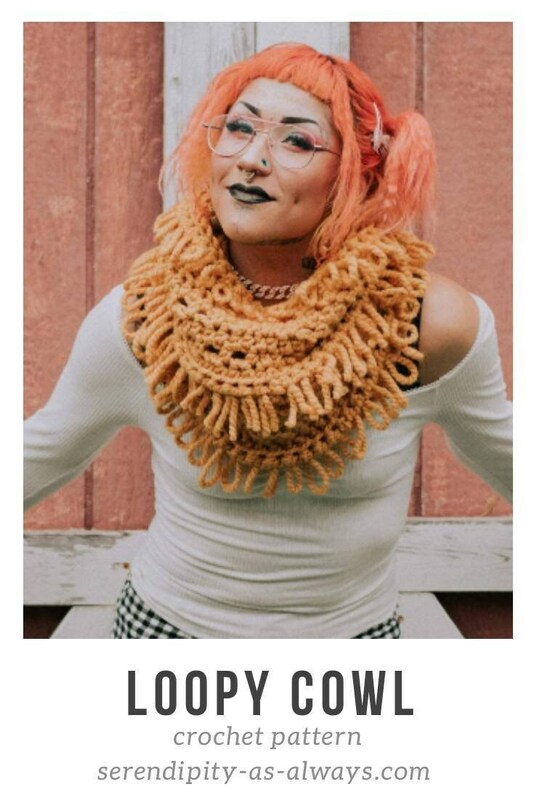 It is written in English and uses standard US American crochet terms. 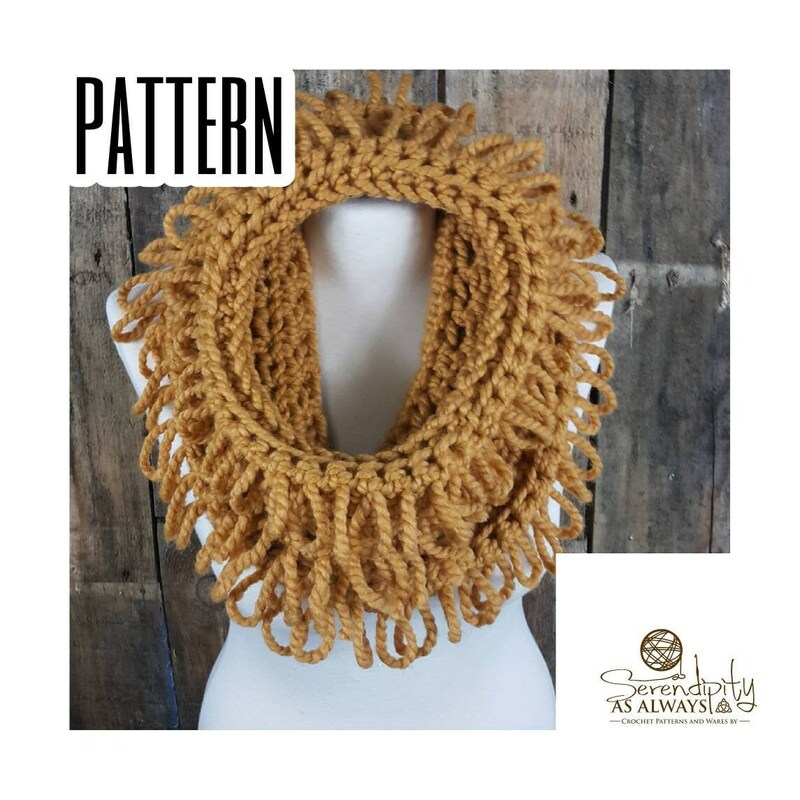 This pattern is provided as an instant download. As soon as payment is cleared, your file will be available for you. 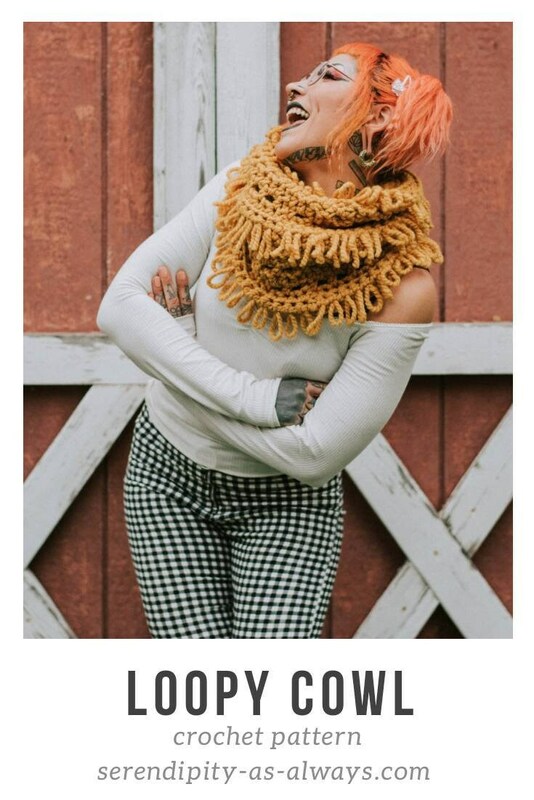 All of my patterns are copyrighted. 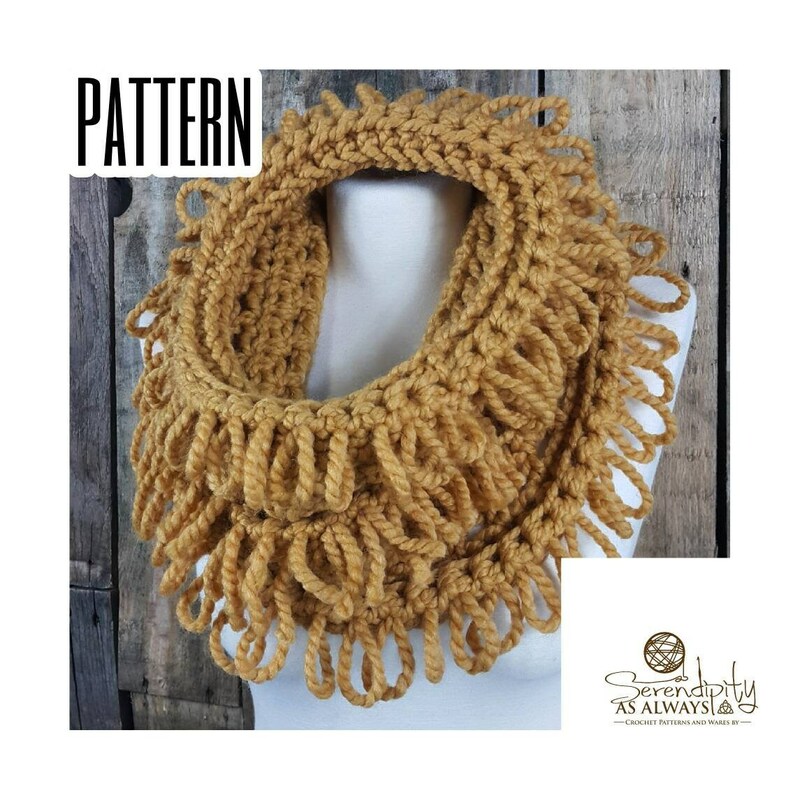 You may of course sell your finished products created using this pattern, but you may not sell, distribute or claim any part of the pattern as your own. If you have any questions I am only an email away. Happy hooking! WHY AND HOW I USE YOUR PERSONAL INFORMATION? When you place an order with me, I will maintain your Order Information for my records unless and until you ask me to delete this information.